More - Jill Ruth & Co. When I dismantled the gift I mentioned in my last post, I took a picture of the cool bark on the Kentucky Coffee Bean tree branches also in the oil can arrangement to show you. 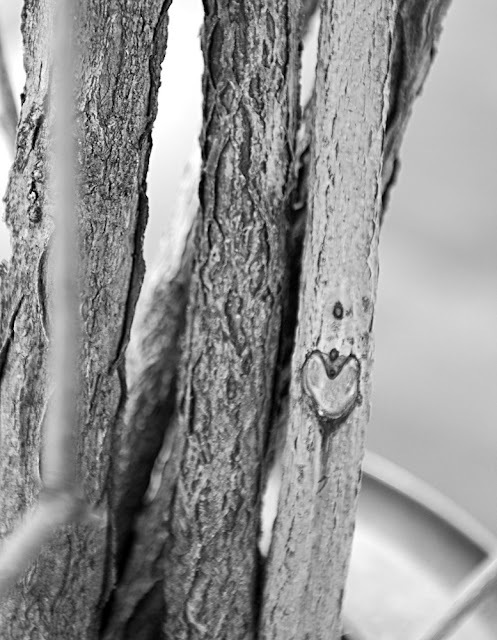 Since I was focused on the middle branch, I didn't even see this heart shape from a previous pruning until I saw the picture on the computer. I love these kinds of surprises! 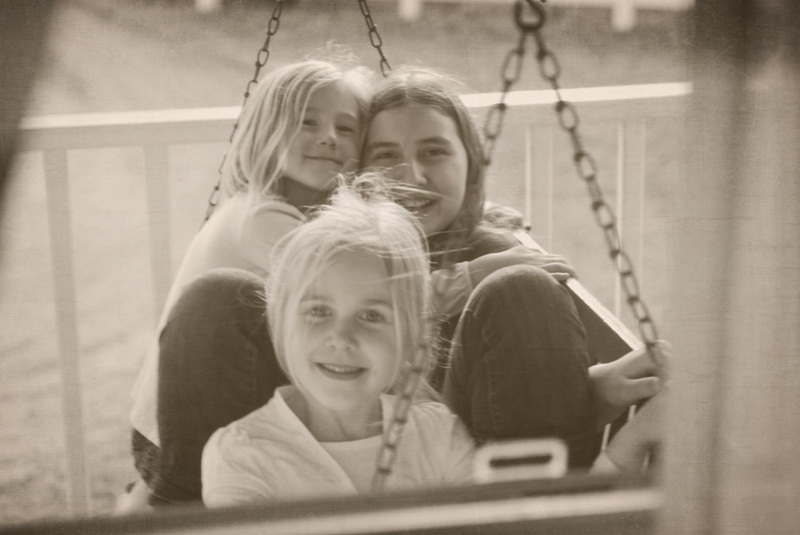 As I tried to capture the breeze on film, my youngest daughters started playing on the porch and I got this fun picture of them through my window. 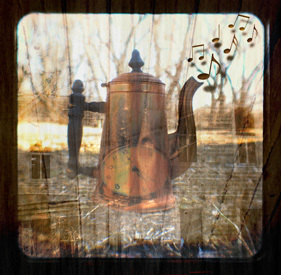 I can just feel the peacefulness here - love your photos. Beautiful Photos! 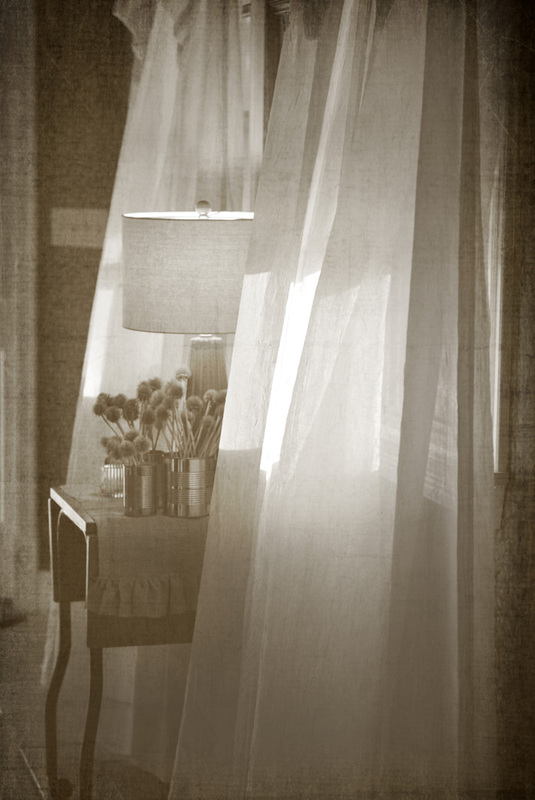 The curtain photo is so peaceful and calm looking. 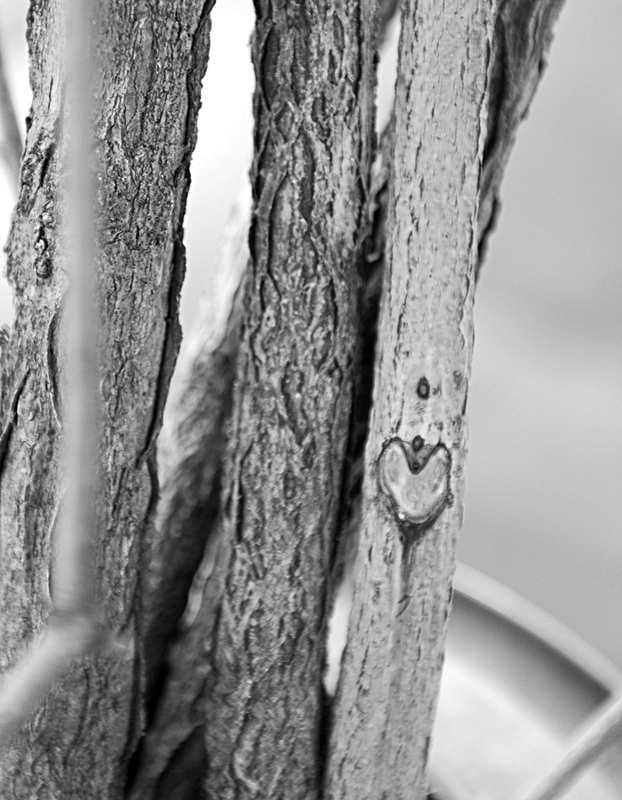 I love little surprises like the heart shape on the branches! Beautiful! What a sweet surprise to find the heart on the branch!! Like looking at an Andrew Wyeth painting. Gorgeous! I love your captures Jill. I especially the one of your darling girls : ) They are all so pretty!! !